We all know that our community has problems with misuse of alcohol. Crime and problems related to addiction are routinely cited as some of the biggest challenges to quality of life in Anchorage today. Are we ready to do something about it? 5% – the amount of the proposed alcohol tax. 76% of the Anchorage public support this proposal, (December 2018 polling). Underage & binge – the two populations whose drinking decreases when an alcohol tax is introduced. The funds raised will help reduce the harms of alcohol. The money will go to treatment and prevention of substance use disorders, behavioral health programs, public safety, and homelessness abatement. Examples of these programs and more specific budget details can be seen here. Alcohol contributes to some of the biggest problems in our community right now. Why not make alcohol contribute to the solution? Common sense alternative to higher property taxes or general sales tax. Solving this problem will cost money somewhere. Let’s stop adding more burden to propety tax payers. The State has no more capacity for this issue; the Muni has to step up. Looming state budget cuts means Anchorage has to come up with our own solution to our problems with crime and addiction. This approach has worked in other areas. Other cities across the country have successfully leveraged modest alcohol tax increases to reduce health problems while securing necessary funding to make communities safer. Will save lives. Studies show that when Alaska raised the state alcohol tax in 2002, drinking-related deaths declined. A modest retail tax on alcohol is inflation-proofed, and paid directly by the consumer. We currently pay well less tax per drink than 40 years ago. If you bought a 1.5 oz shot in 1959, say at the Pioneer Bar downtown, to celebrate statehood in 1959, you paid about 80 cents in federal and 33 cents in state tax, in today’s money. For that same shot today, you would pay as low as 3 cents federal tax and 15 cents state tax. FACT: This statement ignores the fact that 45 other states collect sales tax, and some even have additional sales taxes on alcohol. We don’t pay a sales tax in Anchorage. Our tax costs per drink or bottle of alcohol are not nearly as high as other states, or even other communities in Alaska with an alcohol tax. FACT: A sales tax is passed directly to the consumer, and printed on the receipt. Hotels don’t pay the 12% bed tax in Anchorage – the tourists do. Car rental businesses don’t pay the 10% car rental tax in Anchorage – people who rent cars do. When you book a flight, is Alaska Airlines picking up the tab on transportation taxes and fees? No. Customers of marijuana businesses have been paying a 5% tax since 2017. The muni collected almost $3m in revenue in 2018. Municipality of Anchorage, 2018 Marijuana Tax Revenue Annual Report. FACT: Alaska takes a $1.84 billion hit in alcohol-related costs every year. FACT: Other industries pay taxes in Anchorage: tobacco, marijuana, hotel bed tax, rental cars. These are all user fees. Those who use the product pay the tax. Sales tax is the norm, not the exception: 45 other states have state and/or local sales tax. Point of sale payment systems are all built to handle sales tax – especially as more people are choosing to be cashless consumers, and using credit cards to pay for everything. Collecting sales tax is as easy as turning on a feature in most POS systems, that were built for businesses in other states that collect tax. The Charter’s language requiring a 3/5 vote for taxes was determined to be unconstitutional by the Alaska Superior Court in Bruce v. Municipality of Anchorage (1996): the court found that the Charter’s language is conflict with the Alaska Constitution, which says that a municipal charter, and any amendments to the charter, only require a majority vote (Article X, Section 9). The Charter has not yet been updated to reflect this finding. Both the bed tax (2005) and marijuana tax (2016) were legally passed by amending the Charter with majority (50%+1) votes. The bed tax in 2005 dedicated revenue to building what is now the Dena’ina Center. 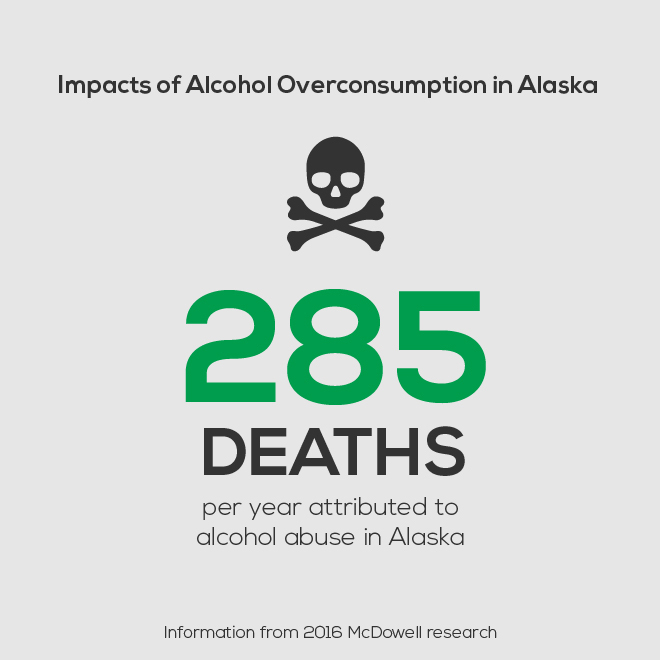 Recover Alaska Dashboard: Alcohol Consumption and Consequences Data. 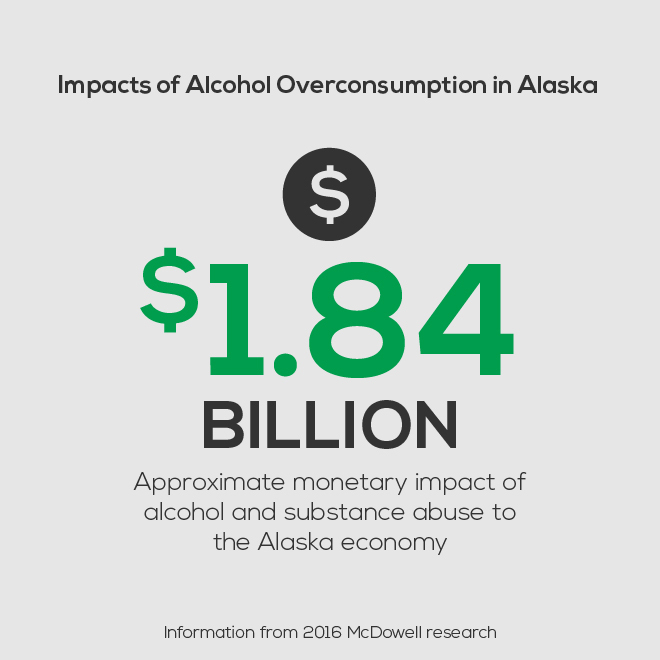 McDowell Group: The Economic Costs of Alcohol Abuse in Alaska, 2016 Update. Prepared for the Alaska Mental Health Trust Authority, March 2017. Alaska Department of Health and Social Services. 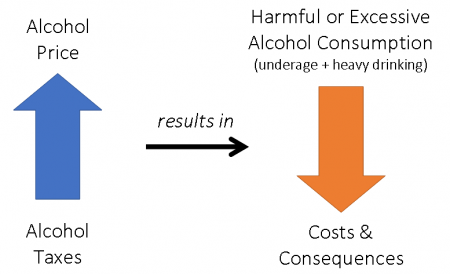 Health Impacts of Alcohol Misuse in Alaska. State of Alaska Epidemiology Bulletin, Volume 20, No. 2., May 2018″. Wagenaar, Alexander; Mildred Maldonado-Molina; Bradley Wagenaar. Effects of Alcohol Tax Increases on Alcohol-Related Disease Mortality in Alaska: Time-Series Analyses From 1976 to 2004. American Journal of Public Health, vol. 102(4):584, April 2012. Key finding: When Alaska’s state alcohol tax was increased in 1983 and 2002, a study of 40 years’ worth of health outcomes data found significant and lasting reductions in the numbers and rates of deaths in Alaska caused by alcohol-related disease. ANCHORAGE DAILY NEWS: It’s simple, drink a little? Pay a little… Drink a lot? Pay more…. KTUU.COM: Anchorage Alcohol Tax Offers Big Benefit at Little Cost. 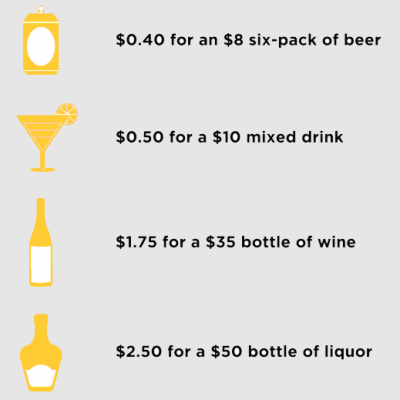 KTVA.COM: The True Cost of the Alcohol Tax. ANCHORAGE DAILY NEWS: Proposed Alcohol Tax is a Pragmatic Approach to a Persistent Problem. KTVA 11 NEWS: In Depth Interview on Alcohol Tax Benefits. KTUU.COM: News Report: Alcohol and Drug Abuse Costs to Alaska. ANCHORAGE DAILY NEWS | OPINIONS: Why I Support a Municipal Alcohol Tax. KTVA.COM: Former Homeless Say Alcohol Tax Could Save Lives. This material was paid for by Recover Alaska, 3201 C Street, Suite 110, Anchorage, AK 99503, Tiffany Hall, Executive Director, Approved this message. Check out our video ads!